Which of these two top VPN services should you choose? Let's compare ExpressVPN and IPVanish VPN in detail. When you’re searching for the best VPN services on the market, ExpressVPN vs IPVanish are two names that constantly come up. They’re both regulars on most “Best VPN” lists. But you probably don’t need two VPNs, do you? So, which one should you pick? 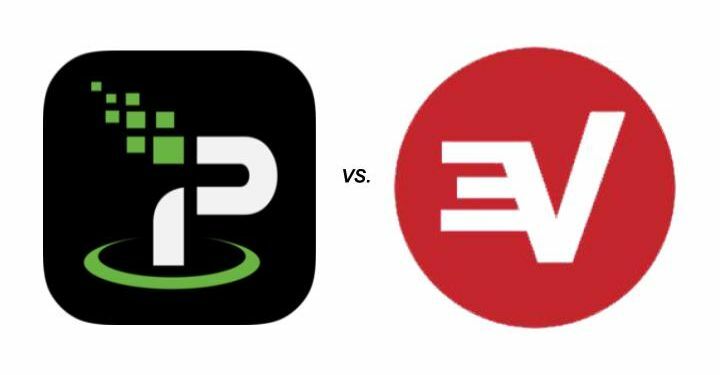 In our opinion, ExpressVPN wins over IPVanish (ExpressVPN's 30-day guarantee provides lots of peace of mind). But let’s take a closer look. How is IPVanish Better than ExpressVPN? How is ExpressVPN Better than IPVanish? How are IPVanish and ExpressVPN the Same? In the war of the VPNs, here’s where IPVanish comes out on top. 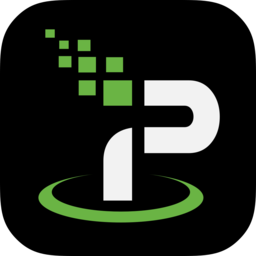 IPVanish wins the price battle, with memberships starting at only $5.20. You can expect to pay at least 25% more for ExpressVPN, which offers plans starting at $6.67/mo. And not only is IPVanish cheaper, you get support for 10 devices with each account. You’re only getting 3 with ExpressVPN. That means IPVanish is much cheaper per device if you want to max out on the number of devices that can be simultaneously connected to the VPN. It may seem counter-intuitive, but ExpressVPN’s higher subscription fees are actually one of the reasons they’re so widely recommended. Why? Because their higher markup allows them to buy the very best quality bandwidth which means fast speeds and quick connections (more below). That’s something to keep in mind when you’re trying to decide on between ExpressVPN vs IPVanish. According to ThatOnePrivacySite, a trusted source, IPVanish keeps no logs. ExpressVPN, on the other hand, does keep limited connection logs. ExpressVPN keeps some minimal logs. What’s the difference? A VPN that doesn’t keep logs is essential for true privacy and security online. So, in this case, IPVanish has the edge over ExpressVPN. This may explain why IPVanish was named Best VPN at the T3 Awards (considered the "Oscars of Tech"). Even the hacktivist ﻿﻿group Anonymous recommends IPVanish (screenshot). Now that we’ve looked at IPVanish’s strengths, let’s see where ExpressVPN shines. ExpressVPN has over 3,000 servers in 94 countries. IPVanish’s total? 1,000+ servers in 60+ countries. The only top VPN services that can boast higher numbers than ExpressVPN are PureVPN, with servers in 140 countries, and Private Internet Access, which boasts over 3,335 servers. But ExpressVPN has over twice as many servers as PureVPN, and they’re spread across three-times as many countries as Private Internet Access, so ExpressVPN still comes out firmly ahead in the end. To be fair, HideMyAss VPN also has a ton of servers and countries, but their service keeps logs and HideMyAss simply can’t be trusted to keep its customers anonymous (as was demonstrated by the HideMyAss LulzSec fiasco). 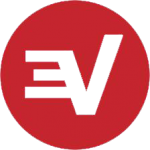 You can try ExpressVPN with confidence, knowing that their 30-day money back guarantee is the best in the business. Only NordVPN and PureVPN can match that. IPVanish’s guarantee, on the other hand, only covers you for the standard 7 days. ExpressVPN is based outside the USA, on a small Caribbean island – the British Virgin Islands, to be exact. IPVanish, on the other hand, calls the US home. Personally, we don’t think the NSA is too interested in most people’s web browsing, streaming or torrent downloading habits. But some people still prefer subscribing to a non-US-based VPN for the extra potential privacy it adds. And we don’t blame them. Of course, there are cheaper options than ExpressVPN for avoiding a US-based VPN service , like PureVPN, which is based in Hong Kong, and NordVPN, which bases its operation in Panama. While both IPVanish and ExpressVPN accept a wide variety of payment methods, only ExpressVPN accepts anonymous Bitcoin payments. IPVanish used to, but that's no longer the case. Hey, IPVanish and ExpressVPN are considered top VPNs for a reason, so it’s not surprising that they have more in common than they have differences. Here are some of the similarities. Based on BestVPN’s recent and robust speed tests, IPVanish and ExpressVPN boast nearly identical speeds. Both providers’ speeds are among the best in the industry. But remember, these speeds can vary depending on your location, internet provider, device, and more, so it’s always better to take advantage of their full money-back guarantees and test the speeds yourself to be sure. While we slightly prefer ExpressVPN’s app, it’s honestly not much different than IPVanish’s in terms of usability, features, and the like. In other words, both providers match up pretty evenly when it comes to their user interface (UI). We’ve written before about how handy kill switch and DNS leak protection features are for a VPN. So, you’ll be pleased to hear that both IPVanish and ExpressVPN have them. Then there’s the important but less-flashy features, like 256-bit AES encryption, and the various protocols, including OpenVPN, all of which comes standard with both providers. If you’re a p2p fan, you’re in luck: both IPVanish and ExpressVPN expressly allow torrent file-sharing. If you want to download torrents anonymously, either ExpressVPN or IPVanish will do very nicely, thank you very much. Are you trying to access the internet in a country that restricts traffic, like China? Then you’ll be fine with either provider, since they both offer scramble features that help you keep your connection and avoid detection even from the advanced deep packet inspection methods used by Chinese authorities. Whether you’re on Windows, MacOS, Linux, Android, or iOS – heck, maybe you use all of the above! – IPVanish and ExpressVPN will both meet your needs. However, ExpressVPN also offers browser extensions for Chrome, Firefox, and Safari. Okay, so let’s sum it all up. In the left corner, we have IPVanish, with their affordable prices and superior no logs policy. In the right corner, ExpressVPN, which features loads of servers and an industry-leading money-back guarantee. In the end, either VPN service will handle your needs just fine, but we have to give the nod to ExpressVPN. They’re fast, secure, based outside the US and reasonably priced, with no major flaws and a good reputation for customer service. Plus, ExpressVPN’s 30 day money-back guarantee rocks and gives you full piece of mind. But don't get us wrong. If you're okay with a VPN based in the US, are looking for the best 'no logging' policy, or just want to save some cash, IPVanish is still a great choice and remains one of our top recommended VPN services. You can get a sweet discount through Cogipas if you sign up today with either ExpressVPN or IPVanish! Let us know which one you choose in the comments below, or just share your thoughts on these two VPN providers. Home » VPN » VPNs Compared » ExpressVPN vs IPVanish VPN: Which is Better?